Travel by bus from Queenstown this morning to The Divide, via Te Anau. 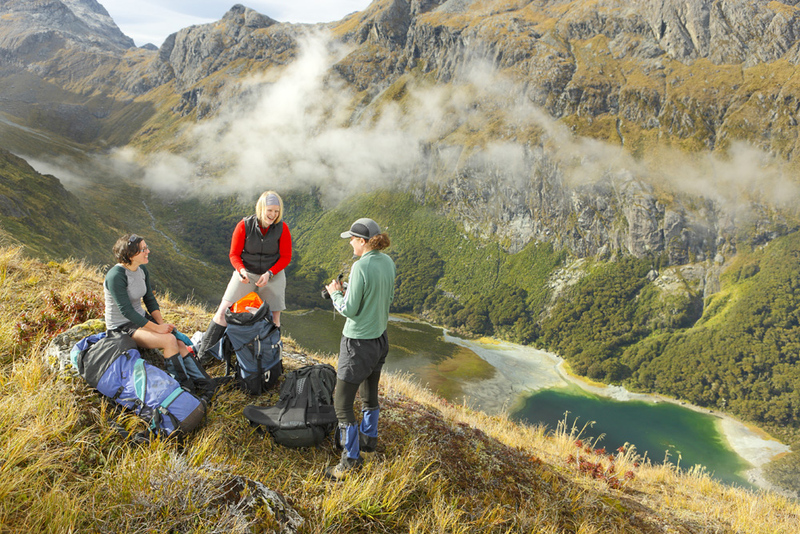 Once at the Divide, start on your Routeburn adventure. Be sure to take in the side track up to Key Summit. You then descend to Lake Howden, before gradually climbing through silver beech forest to Earland Falls (174m) which is a great place to take in the atmosphere. From here head steadily up towards Mackenzie Hut, which is situated lakeside in a hanging valley. Today’s walk takes you over the Harris Saddle with an optional side track to the summit of Conical Hill, affording views across the Hollyford Valley and out to the Tasman Sea. The ascent from Mackenzie Hut is through alpine vegetation and a ‘magical forest’ covered in moss and lichen. Leave Routeburn Falls Hut this morning and the steady climb down takes you past waterfalls and through alpine pastures, then along the Routeburn Valley through beech forest to the end at the Routeburn Shelter. From here, the bus will take you back to Queenstown.